Use CakeDeco Floral Wire to reinforce and secure fresh cut flower stems, foliage, and dried flower arrangements. The wire is great for crafts, too. 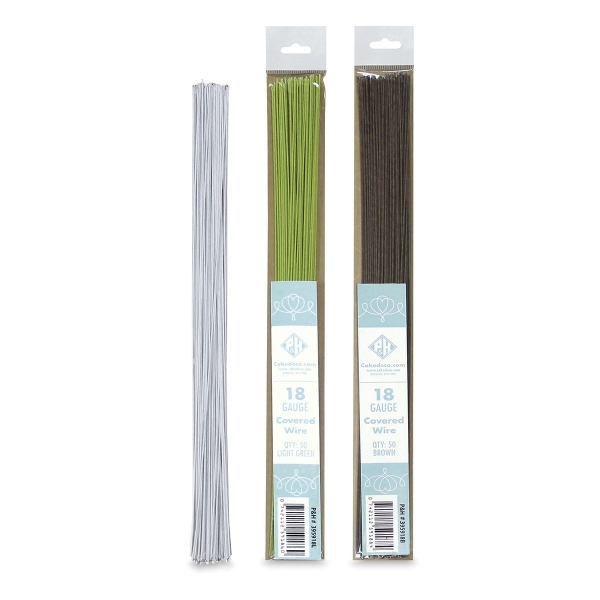 Packs include 50 pieces of 18-gauge wire (14" each). Choose Brown, Green, or White.